Apple got more than it bargained for in its stand against government snooping. With the FBI keeping mum on methods used to extract data from an iPhone tied to last year's San Bernardino terror attack, Apple must patch a security hole it knows nothing about, a task one report suggests is made more difficult by a recent reorganization of its security team. Citing current and former Apple employees, The New York Times reports the company's security operation has been in a state of transition since late last year. Directly applicable to the Department of Justice case, Dallas DeAtley, one of a handful of managers with experience in handling government requests for iPhone data, changed positions last year. 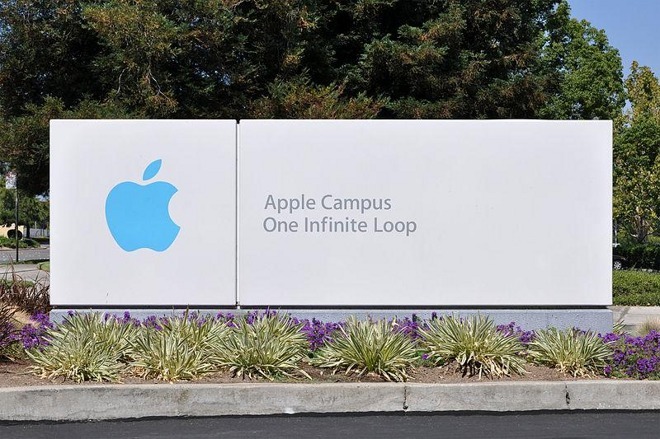 The report notes Apple previously staffed two security outfits in Core OS Security Engineering and a general product security team, the latter of which was divided into smaller groups responsible for encryption, anonymity and other privacy issues. In addition, the product security team included a reactive force that responded to threats discovered internally and by outside sources, while the so-called "RedTeam" worked proactively to ferret out potential device weaknesses. According to former employees, the product security arm was divided sometime last year. The personal privacy team was assigned to a new manager, while other units, including the "RedTeam," moved under the Core OS Security Engineering umbrella and its former manager DeAtley. How the transitionary period affected Apple's ability to discover exploits, issue patches and maintain product security is unknown, though a high rate of turnover is to be expected in high technology. As noted by The Times, security engineers are hot commodities, meaning Apple management likely anticipated a certain rate of attrition. Apple, like many tech firms, is always on the lookout for fresh blood. The company has in the past poached engineers from rival corporations and is no stranger to making key acquisitions in efforts to stay ahead of the curve. For example, Apple last November hired two firmware security experts who ran "deep system security" startup LegbaCore, who helped develop a proof-of-concept Thunderbolt vulnerability dubbed Thunderstrike 2. The government on Monday withdrew a California court order compelling Apple's assistance in unlocking an iPhone 5c used by San Bernardino terror suspect Syed Rizwan Farook. Apple resisted DOJ pressure, maintaining throughout that creating a software workaround put millions of iOS devices at risk of intrusion. Federal prosecutors yesterday said an outside party approached the FBI with a viable data extraction method just days prior to a scheduled evidentiary hearing, rendering the case against Apple moot. An ABC News report on Tuesday cited one law enforcement source as saying the iPhone exploit came to light not despite the very public court case, but because of it. It is unclear whether or not FBI officials will hand the working vulnerability over to Apple now that target data has been successfully extracted from Farook's iPhone, but chances are slim. A workable exploit —especially one inaccessible to Apple —is an invaluable digital forensics tool that might find use in multiple pending cases around the country. Apple a similar request for access in New York, for example. For security researchers, privacy advocates and Apple, however, the mere existence of a workaround to built-in iOS device protections is a security disaster waiting to happen.